The Block’s Alisa and Lysandra Fraser recently finished a home renovation of a heritage property in Melbourne’s Albert Park. The stunning Victorian-era home features three bedrooms, three bathrooms, two separate living areas, a cinema room and wine cellar. 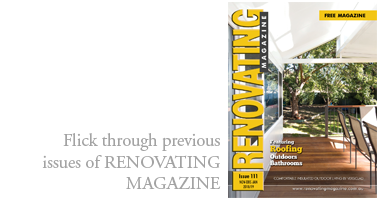 Here they share their insights into how they chose the five window coverings for this beautiful home. 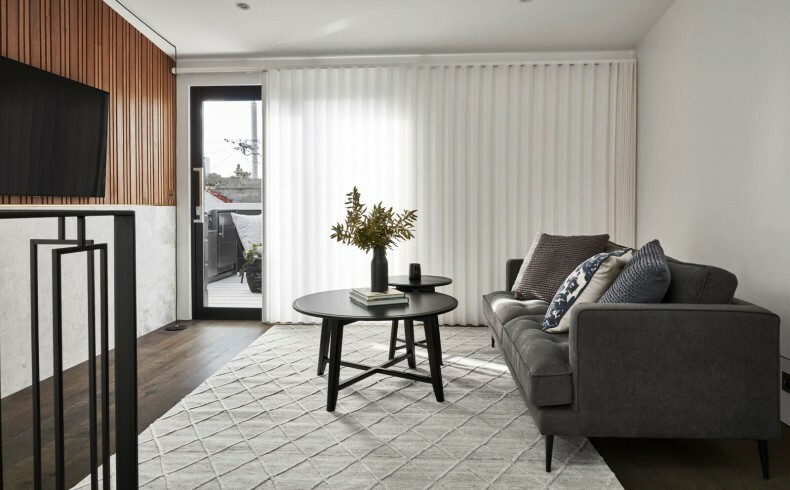 Home renovating plans can be impacted by the type of window coverings you want; even more so when you have to abide by the guidelines for a heritage-listed property. Blinds fitting specialists from Luxaflex® Window Fashions considered a variety of factors, such as window aspect, size, function of the room, and control options. With a traditional façade and heritage features within the house, the decorating plan was to create something modern; yet honouring what was already there. Master Bedroom. This bedroom is located on the ground floor at the front of the house. Making sure the blinds offered sufficient privacy, without compromising on natural light or the view was therefore important. Luminette® Privacy Sheers were chosen for the master bedroom in “Ideal Greige” with room darkening opacity. They offer a visually striking alternative to sheer curtains, providing the benefit of translucent or room darkening vertical vanes that provide light and privacy control with full 180-degrees closure. Main Living Room. The kitchen/living/dining area on the ground floor next to the master bedroom took the longest to plan. The large feature windows and sliding doors that open out from the living area into the garden are a key detail of this space. They draw the light through and open the space up, allowing you to see all the way through the end of this space into the garden. Luminette Privacy Shades was the choice here as well; this time in “China White” and translucent opacity. 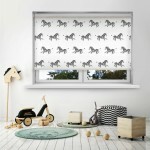 This style of blind is ideal if you would like a window covering but still want to enjoy the view. They add luxury; but also a touch of softness. Garden. Outside, a Como Folding Arm Awning was installed along with car-parking space – the final touch in making this an oasis in the middle of the city. 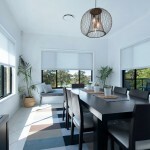 External blinds and awnings not only provide shade to enhance time spent in the backyard, but also help to maintain the internal temperature of a house by reducing heat transfer through windows. External shading from Luxaflex’s Evo Awnings can reduce heat transfer through windows by up to 60%. The garden continues the house’s urban theme with clever paving and a dark fence. 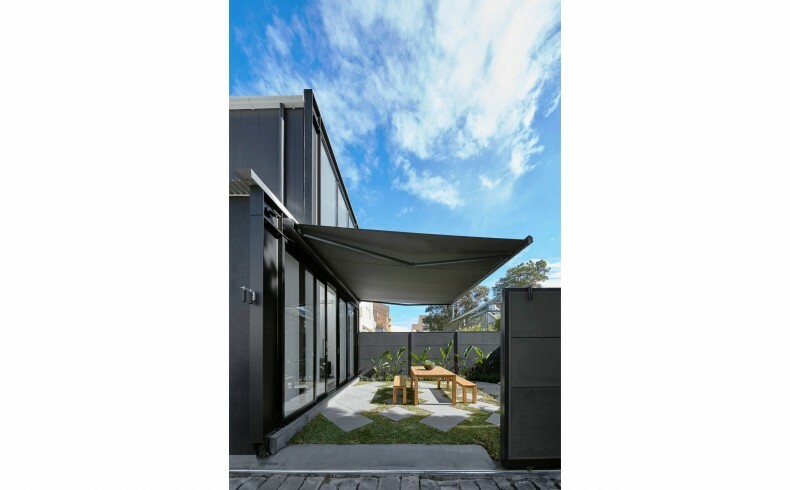 To create a luxe look the awning was colour-coordinated with the home’s exterior, which went beyond the awning fabric to encompass the hardware to blend seamlessly with the house’s façade. Second Living Room. In the second living area on the first floor, sliding doors open onto the terrace. Modern Roman Shades were selected in “White Dawn” with a traverse operating method so the fabric vanes sit vertically and can be easily opened with the doors. It’s old-style to think that every room in a home should have the same window coverings to create a consistent look. The texture in the sheer linen fabric of these blinds provides a sense of texture. This is echoed through the vertical timber panelling and stone on the feature wall, providing warmth; while staying true to the “urban” theme objective. It also helps ensure the space is kept simple and versatile. Upstairs Bedrooms. 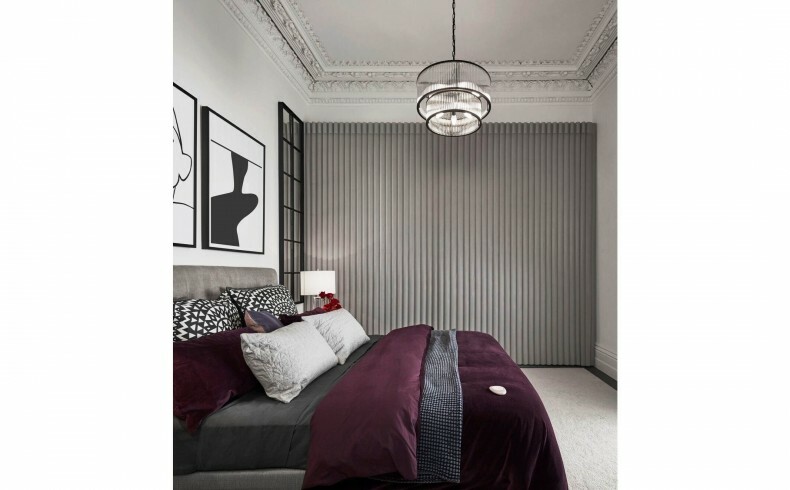 The two upstairs bedrooms both feature Duette® Architella® blinds in “Elan Black Onyx” and “Platinum”. 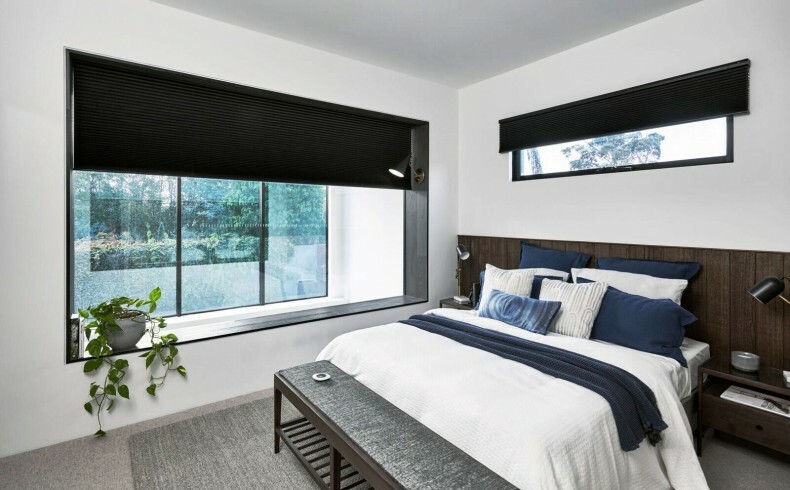 These shades are especially suited for bedrooms as they have minimal light gaps and can achieve 100% blockout, so that street lamps and early-morning sun don’t disturb sleeping. In order to optimise the house’s stunning city views, the Duette blinds were recessed into the bulkhead so when you’re looking through the window there is no obstruction. The strong contrasting colour was also a refreshing take on the ongoing urban theme. Whole House Automation. The house was fitted with Luxaflex’s PowerView® Motorisation to automate the window coverings. 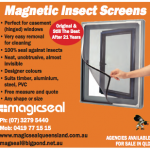 This clever technology provides numerous benefits. Child and pet safety is becoming an increasing concern for home renovators and a motorised operation system offers an ideal cordless solution that combines safety, style, and convenience. You can close the blinds at the touch of a button; as well as the option to schedule window coverings to lower when you want. The PowerView App allows you to create a collection of personalised “scenes” for your daily life. For example, greet the day with the arrival of the sun in your master bedroom and kitchen to the preferred position for your morning activities; then have them gracefully close as you leave for work in summer to maintain a cooler indoors temperature.